When I started my career working at a fledgling ISP I fondly remember the great excitement of seeing email addresses and URLs first appear on advertising billboards and TV. My hitherto secret world of email, newsgroups and (latterly) web sites was no longer restricted to the techie community and was gaining widespread public adoption. After a while people didn’t look at me with puzzled expressions when I spoke about my work, and instead they wanted to learn more about this new World Wide Web thing and the odd @ / symbols that were spreading like wildfire in the conventional media. I felt a sense of pride that we were all working together on a global infrastructure with open standards and unfettered access to content. That was in 1992 and since then a lot has changed online. I don’t need to go into that. What I’ve been experiencing in the last couple of years with proprietary and closed social networks is disturbing and quite contrary to the original Internet ethos of sharing and collaboration. The biggest culprit of what I am complaining about is Facebook. I do not have a Facebook account, nor do I want one. I know who my real friends are, I’m not interested in resuming contact with forgotten acquaintances and I don’t feel the need to collect new ‘friends’ like a virtual Panini sticker album. Aside from Facebook just not being relevant to me or my daily life, I don’t want to share my personal details with any more organisations that I don’t trust. So what’s the problem then? I don’t need Facebook and Facebook doesn’t need me. My problem is that just like I saw email addresses and web URLs go mainstream, I now see facebook.com links instead. Instead of feeling excited about exploring these products and brands online, I now feel excluded. Every time I see a facebook.com address instead of a regular company domain name it’s another nail in the coffin of the open and inclusive Internet that I helped to build. So why this post? It’s a plea to everyone to pull your content from Facebook and embrace the open Internet instead. You’re reading my views right now without registration, so why should I be forced to divulge my personal details and commodify myself just to view yours? It would seem that following the ‘deactivate account’ link in Facebook does not actually delete your account or remove your profile. Your account just goes into a limbo state and is automatically reactivated if you log in again. 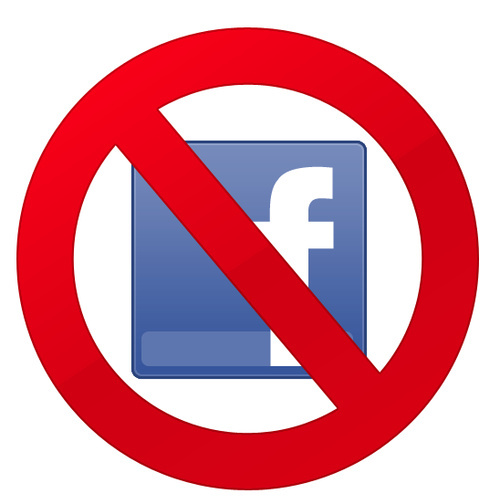 As long as you do not log into your Facebook account again with two weeks then your account will be permanently deleted. Update: Have a read of Gizmodo’s Top Ten Reasons You Should Quit Facebook if you weren’t convinced already.